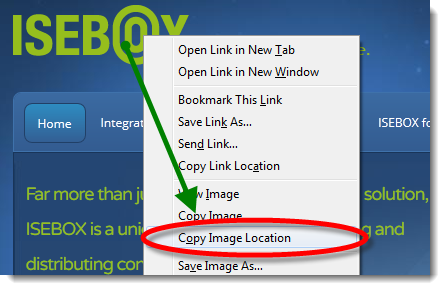 First you need to ‘Copy Image Location’ of the image you wish to embed. This is done by right-clicking the image, and choosing ‘Copy Image Location’ or something similar. When editing your Content Page, simply pick the Texts Tab and click the Image Upload button in the toolbar. Select the Link Tab in the newly opened window. Paste the Image Location into the URL field.